What unique characteristics in current Healthcare and Medical fields have altered the world of software developers? To sum it up, while security and compliance remain of prime importance, today’s software teams must often be adept at developing complete, connected IoT (Internet of Things) ecosystems. 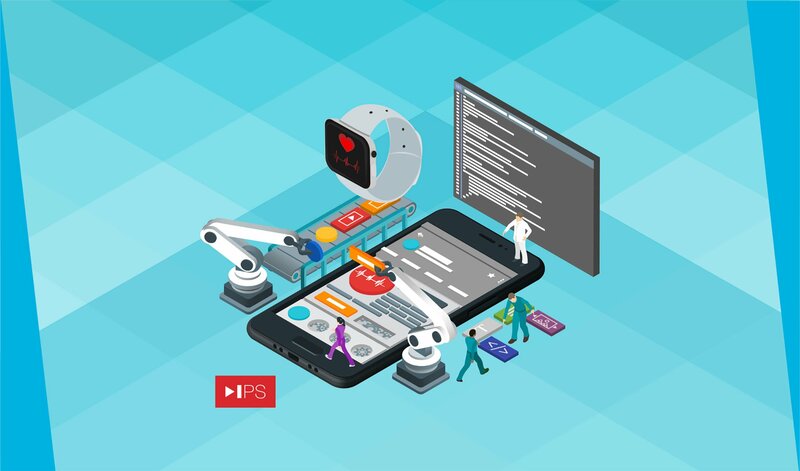 These connected solutions require engineering expertise in embedded systems, cloud and typically mobile or app development– skillsets that are usually dispersed across multiple development teams. The most streamlined method for developing rock-solid IoT medical devices and applications involves regular, well-cadenced interaction and collaboration between these teams — this is the co-development approach. Embedded system architects and app-level UX/UI developers must work hand in hand to provide an experience that is both seamless AND flawless for the end user or customer. This “co-development” requires that multiple teams make dynamic changes to software and hardware iteratively in order to arrive at the desired end product. Effective co-development processes that support cross-discipline collaboration require better integration among all of the tools used for hardware and software development, requirements, modeling, configuration management, and more. The processes rely on vigilant management of team collaboration. IoT systems for the medical products category provide the opportunity to produce remarkably intricate software designs; however, managing separate software teams while integrating input and designs from UX/UI groups is a big challenge. A co-development approach makes it possible to minimize confusion, redundancy, and bugs that could result from overlapping embedded, application and cloud efforts. Each separate piece of software must be written with clean, well-defined external interfaces that allow for easier integration with the other components. To some degree, this is good programming practice regardless of the type of software application you’re writing, but it’s absolutely essential to the team’s success in an IoT solution. The Co-Development Triangle: The components of full stack IoT SW development are both separate from and connected to each other. The relative flexibility of each component drives the pace and collaborative nature of the development process throughout the effort. Software as a Medical Device (SaMD) is defined by the International Medical Device Regulators Forum (IMDRF) as software intended to be used for one or more medical purposes that perform these purposes without being part of a hardware medical device. Greenlight Guru expands on the FDA and IMDRF’s reports by noting that the distinction is that software may interface with physical devices, but it is not a SaMD if its intended purpose is to power a hardware medical device. SaMDs are required to run on standard computing platforms. They may be deployed in combination with additional medical devices or tools. This newly redefined IoT application encompassing medical devices, systems, users and the backend, can be referred to as Software as a Medical Tool (SaMT). IoT software project leads must prioritize work on the key components of SaMT, which are the application, the user interface, the embedded software, and the architecture of the system that allows it to push critical data through its components. regulatory requirements, security concerns, patient safety, and the potentially life-altering functionality of healthcare software underpin every aspect of the process. This review of SaMT methodology will explain what codevelopers of IoT systems must do to meet the unique demands of the healthcare environment. Smart, connected solutions for the medical field and health-related industries are at a critical crossroads. Today’s consumers, caregivers, and practitioners demand updated and intuitive experiences and interfaces. Consider the Software as a Medical Tool (SaMT) approach. Our white paper on the reasons and how-tos for streamlined co-development of software for the new world of connected medical devices and applications here.